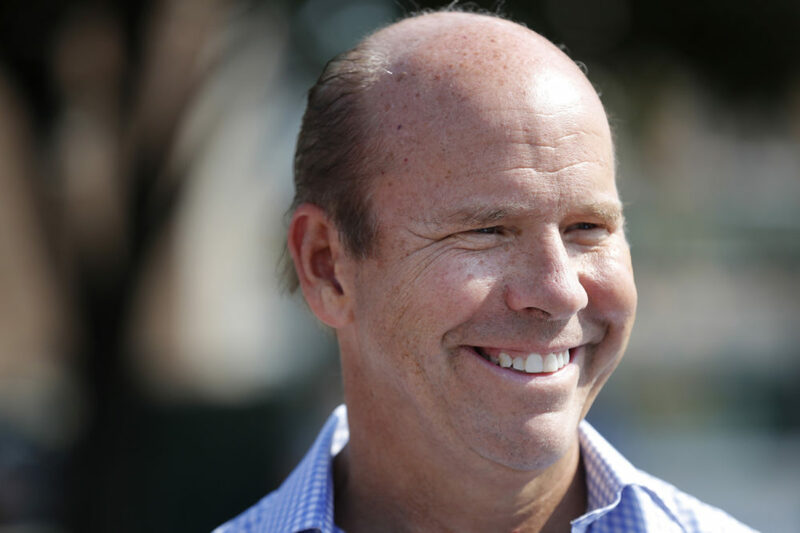 Back in July 2017, Rep. John Delaney, D-Md., became the first major Democrat to announce he’s running for president in 2020. As part of On Point's look inside the Democratic Party's strategy for the 2020 election, we spoke with Delaney about the issues facing this country, why he's running for president and what he learned from the 2016 campaign. "I think the central issue facing this country is how deeply divided we are — you know, where American has been increasingly pitted against American. And I think if this continues, these divisions we have in this country, we're looking at a future where every political disagreement is met with some form of violent protests, where we're in a world where we're completely incapable of actually getting anything done because no one can actually come together and agree on anything or find common ground. So I think the central issue facing this country is how do we take this terribly divided nation and bring it back together. And that's why I'm running." How Do You Deal With The Ugly Side Of Politics? "You've got to continue to appeal to the better angels of our citizens. I agree with the Michelle Obama kind of framing that when they go low, we go high. And I just think it's the job of leaders to lift the American people up and show them that there's a better way, that there's something better that they should believe in. And that doesn't mean you convince everyone, but I do think there's a coalition of Americans out there — whether they be progressive, centrist, independents, or even Republicans who don't like the president — who actually want something fundamentally better from our politics. They want the notion of civility and respect. "If you think about what we're going to celebrate President Bush for all week, I guarantee you the coverage of that funeral will focus on the decency of the person, right? Recognizing there are people who disagreed with a bunch of his policies, including myself. But there was a fundamental decency to him that he brought to the profession of public service. And that's what the American people kind of are overwhelmingly interested in. Most Americans really want some restoration of that." "I think the central issue facing this country is how do we take this terribly divided nation and bring it back together. And that's why I'm running." What did you learn from watching the 2016 campaign? "I think the president is entirely unfit for the job. I think he's uncaring and I think he's largely been unrestrained at this point. And I think Secretary Clinton correctly pointed all of those things out about him. But I think if you want to be the president, you have to spend most of your time telling the American people what you’re going to do for them, what your vision for the future is, how you can build a better future for all Americans and how we can all work together to achieve it. And I quite frankly don't think she spent enough time doing that and she probably spent too much time pointing out to people his flaws, which, listen, they're big and they're significant, but I think you have to make it more about why you're the right person to the president, not why the other person is unfit to be the president. So that was one of the lessons I took from 2016. "I also think, and I think right now in particular this is true, what my party, the Democratic Party, should be is a big tent party. We should be a party that's welcoming of progressives, moderates, independents and even disaffected Republicans, because there's a huge coalition of voters in this country who actually agree with each other on so many important things we should be doing for our future. And I think a candidate that runs on trying to unify the American people around getting some of these things done as opposed to dividing us and segmenting us and pitting each of us against each other, I think that's a lesson from the 2016 election." How Will Your Campaigning Approach Change As More Democrats Enter The Field? "I've already been to all 99 counties in Iowa. We've got about 16 people on the ground. I think we're opening up our sixth office — we’ll probably have 20 to 25 people on the ground by January, eight offices open. That number could grow to 100 by June. We're going to run a major, major ground operation in Iowa and in New Hampshire. And we're going to meet voters in their homes, we're going to meet them in coffee shops, we're going to meet them in community centers, and I'm going to give them an opportunity to figure out what's in my heart and what's in my head, because that's what I think they do in that state. And so I think in terms of working hard, I don't think anyone will work harder than we will. And I think we have a very unique message, and I think it's going to stand apart whether the field’s five people or 20 people." "We should be a party that's welcoming of progressives, moderates, independents and even disaffected Republicans, because there's a huge coalition of voters in this country who actually agree with each other on so many important things we should be doing for our future." What Are You Looking For In The Campaign Process? "What I'm looking for from a process perspective is what most Democrats are looking for, which is there to be a totally on-the-level primary process [where the DNC and other third party groups don't put their thumb on the scale]. And I know this gets complicated. You've got a big field and how they figure that out, but I think what they always have to be asking themselves is, 'Is the process we're creating for this primary, is it on the level?' That's the word I always use — we just have to make sure it's on the level. Because, in 2016, I think most people think we didn't have kind of a real primary to some extent. And that obviously wasn't helpful to us, and I think we've got to have a real primary this time." Brian Hardzinski produced and conducted this interview for broadcast. 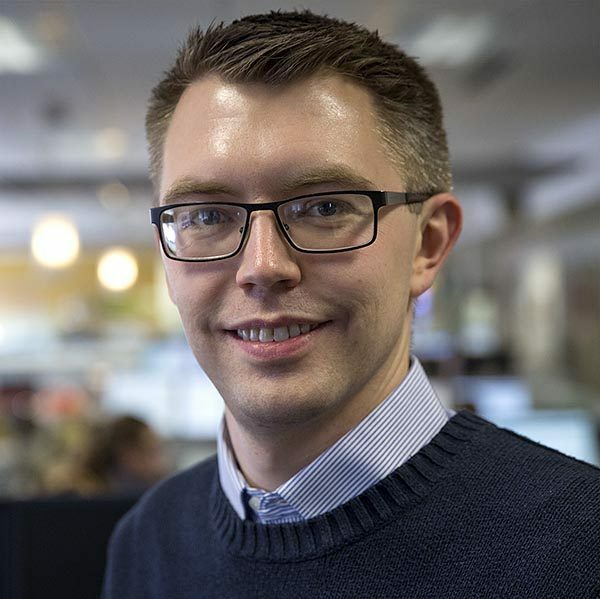 Alex Schroeder adapted it for the web. Brian Hardzinski joined WBUR and On Point in 2017 after 11 years at KGOU in Oklahoma City.